Tablet Sales to Trump Laptops in 2013 - That Was Fast! Tablet Sales to Trump Laptops in 2013 – That Was Fast! First released in 1981, the Osborne 1 is commonly considered the first portable computer (and it was a beauty!). The first notebook style laptop was the NEC UltraLite, released in 1989. Any way you slice it, laptops had been around for awhile before sales surpassed desktops in late 2008. Tablets? Different story. After a few early-2000s misadventures in Microsoft tablet PCs—the tablet was effectively re-introduced by Apple’s iPad in early 2010. And just two years on, global tablet sales are projected to overtake laptop sales. To get an idea of just how quickly the tablet market is evolving consider this June 2012 headline: “Tablet Growth Will Surpass Notebook Growth by 2016 [NPD Report].” Fast forward a mere six months and NPD had to fast forward its forecast. 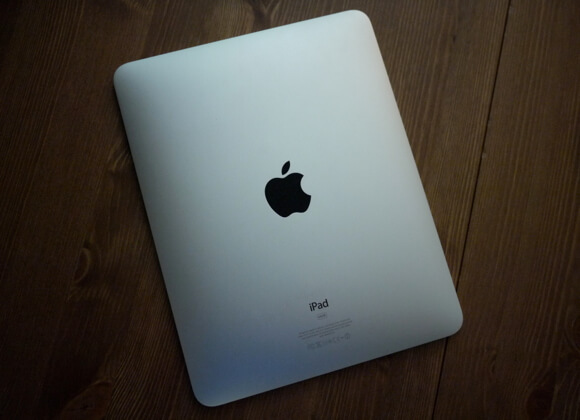 The research firm now predicts global tablet sales will exceed notebook sales in 2013. According to NPD, tablet shipments will grow 64% in 2013 to 240 million units—outstripping laptop shipments by 33 million. And while that mark may be impressive, it’s worth noting it was already breached in North America and China in 2012. NPD says tablets’ meteoric numbers are due in part to iPad competitors entering the space along with more available screen sizes. Tablets in the 7”-8” category (the newly released iPad Mini, for example) are expected to make up 45% of 2013 shipments. Globally, emerging markets in developing countries play a prime role in tablets overtaking laptops. Tablets are cheaper than laptops and many models come equipped with cellular service, making them attractive in areas where wired connections may be hard to come by but cellular service is common. Further, clever mobile operating systems and touch interfaces allow the slimmer, lighter form to easily handle most common computer tasks like online browsing, checking email, and simple word processing. Mobile operating systems have been so successful, firms like Microsoft and Apple have integrated them into their laptop OS’s in recent versions. And as data forsakes local storage for the cloud, computers need less hardware on board. Of course, power users won’t soon say goodbye to their high end MacBook Pro or desktop computer. But neither will they shun the convenience of a tablet. Meanwhile, the vast majority of folks who aren’t power users will gladly forsake unneeded power for sleeker, cheaper, thinner, and lighter designs. Indeed, it’s increasingly the rule true of notebooks too—Apple’s 17” MacBook Pro was discontinued in 2012, while users are flocking to the powerful 13” MacBook Pro and ultra-light MacBook Air. Whatever final portability-to-power configuration we settle one, there can be no doubting one thing. The tablet has arrived. Welcome to the post-laptop era.